I’m interrupting this Month of Mothers today to tell you to listen to your mother. She told me she wanted you to come to Book Buzz NYC – 2013 and she is never wrong. If you don’t come, you will only be crying into your coffee when I post all the photos and you see all the fun you missed. 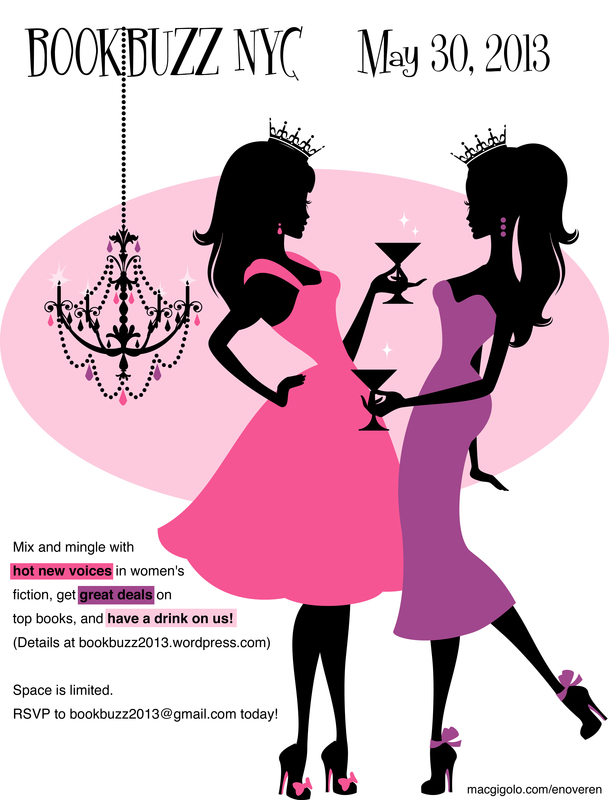 If you do come, you get: 1 FREE Shplika Vodka Pink Stiletto cocktail, complimentary snacks, thanks to Diversion Books, and lots of great deals on bargain-priced signed books! Right? So see you all tonight! And if you can’t make it, don’t sweat it. We’re still going to have a great summer together here in the Shed. Lots of fun stuff planned. When I was in high school, my biology teacher Dr. Anthony DeFina had several human anatomy charts permanently adhered to the chalkboard: the skeletal system, the nervous system, the muscular system, and so on. He rarely wrote on the chalkboard, which was great because there was barely any room to write. Instead he loved pointing to his charts. He pointed to various parts of the body and, with his back to his students, called out a random name to tell him what it was that he was pointing to. He didn’t care that his dirty white lab coat—a serious sartorial choice for any high school science teacher—was a bit threadbare on the backside, or that we got to see underneath his comb-over from the rear. He would point and wait, sometimes tapping the mystery body part while we students rifled through our textbooks for the answer. One day “Doc” (as he was affectionately known as) was particularly interested in our knowledge of the digestive system. But instead of going around the room for singular answers, Doc pleaded for a chorus. And we obliged. This went on until he pointed to something too small to see from even the front row of desks. Exclamations turned into question marks, and the chorus was reduced to a smattering of tentative voices. Doc put down his pointer, turned to face us, and said in his best/worst Albert Einstein impression, “It’s not a chicken, it’s not a shvan, but it’s a DUCT—a bile DUCT.” Then he quacked twice before turning around and moving on. To say that we were stunned would be an understatement. There is a reason why I am sharing this story with you. I am a duct tape crafter, but I sometimes think that it wasn’t chance or circumstance that brought me to duct tape. 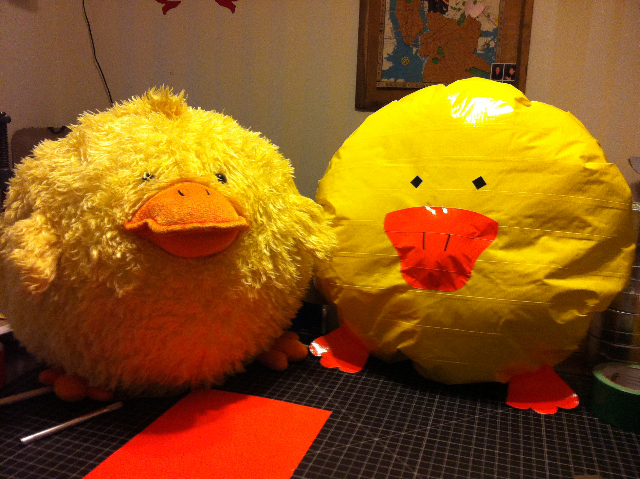 Yes, it’s true that I began crafting with duct tape because of my kids. They were drawn to a shiny display of primary colored rolls at our local hardware store, like moths to a light. How could I say no? And it’s also true that my kids often inspire my work. Duct tape fingerless gloves or a reading pillow that looks like a book are not projects that I would have dreamed up myself. But I think it was destiny. Because every time I start duct tape crafting, I hear Doc’s words, his quacking, and then the stunned silence of his perplexed students. Because every time I go shopping for duct tape, my inner monologue does a terrible impersonation of Doc doing his best/worst Einstein, and I sometimes find myself quacking up in the middle of the store. Because I am a duct tape crafter and I often think of how my high school biology teacher kept those anatomy charts on the chalkboard. It MUST have been duct tape. Life is full of little stories that that can seem like coincidence. Doc and the duct story, me and my duct tape destiny. I haven’t seen or spoken to the man in almost 15 years. He doesn’t teach at my old high school anymore—is he even alive?? And what would he think of my duct tape crafting books? Would he crack a smile or make me name the parts of the digestive system? 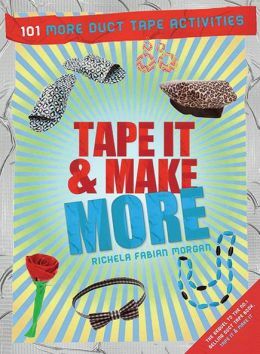 RICHELA FABIAN MORGAN is the author of the best-selling craft book TAPE IT & MAKE IT. She is currently featured in the book ALL THINGS PAPER by Ann Martin. 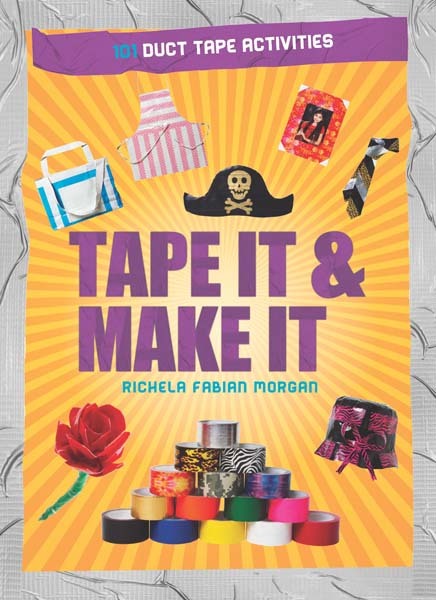 Her next book, TAPE IT & MAKE MORE, is coming out September 1st. When she’s not picking through her neighbor’s trash for crafty treasures, Richela teaches eco crafting at the Sheldrake Environmental Center. 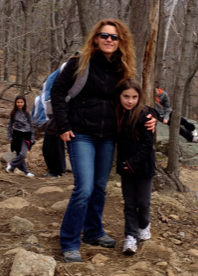 She lives with her husband and two children in Larchmont, New York. You can learn more about her crafts, her cooking, and her domestic follies on her website: www.richelafabianmorgan.com. 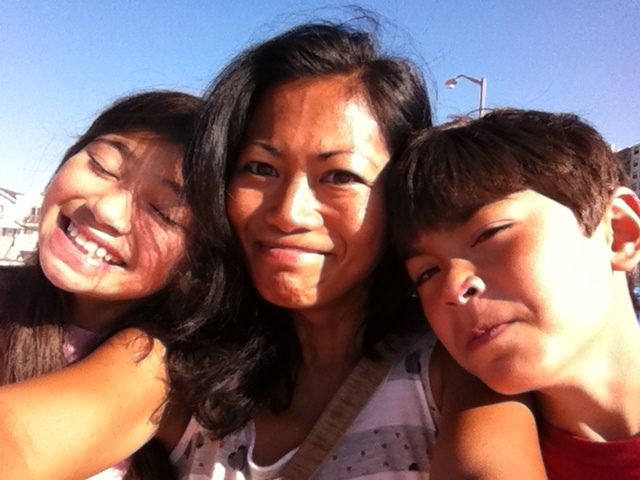 Do you ever wish motherhood came with a manual? I sure do. Especially this month. First, let me introduce you to my family. Dan and I have a blended family. Our crew consists of one girl (my daughter) age 16. 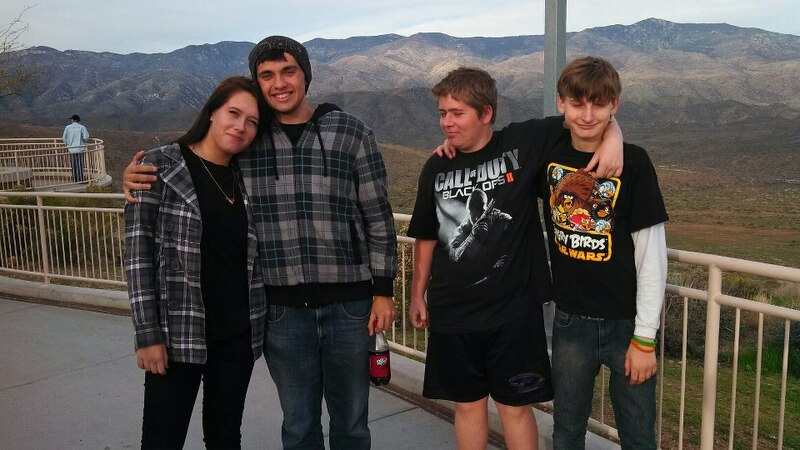 We also have Trevor (my son) and Mark (his son) who turn 15 in June and July. Alexis also has a boyfriend who has become part of our family. He is 17. Okay… back to my story. Ten months ago Dan and I found what seemed like the perfect house for us. We felt that the landlord was easy to work with and we were eager to move in. Our hopes were crushed right away. The kitchen was too small, our landlord nagged us over everything (including what we threw away in our trash), and she had all of her mail sent to our house. These issues seemed small when we thought about our kids. The house was big enough for our crew and two cats. Our daughter was turning 16 and her boyfriend wanted to buy her a rabbit which our landlord agreed to. Both of our kids who live with us full-time were in great schools. Fine… we’ll stay here for another lease term (1 year). We reached ten months at that house. Then… everything turned to chaos. So… I went into panic mode and we started looking for another house right away. Our landlord wouldn’t give us any information such as when the bank would be taking over. All we knew was that she hadn’t paid the mortgage all year. Our kids came home from school that day and I had to tell them that we were moving from the house they loved. Trevor doesn’t adapt well to change and began to worry. How would he get to school? What if we don’t find a house in his distract and he will have to go to another high school? The questions and worries went on and on. The kids were our biggest concern. We didn’t want Trevor to stress over the move and we didn’t want to interrupt Alexis’ sixteenth birthday party or make them switch schools. But we also didn’t want to have the bank take over and be kicked out on the street. So we decided to evaluate our options and pick the best choice. The problem with our area is that there really is a small number of middle class homes. You either find upper class or low… not much to choose from in the middle ground where we needed to be. Dan and I spent two days driving up and down the streets of the neighborhood we wanted to be in with hopes of finding a “For Rent” sign. Luck was on our side the second day and we found two houses right across the street from the school. We signed the lease the following day. This new house is a lot nicer than our old house, has the right number of bedrooms with an extra bathroom, has a mini office space for me, we get to have our pets, we’re now in a safer neighborhood, and the best part… the house is across the street from the high school! Moving was hard. Our old landlord spewed us a bunch of lies and tried bribing us to stay there even though she was losing the house. She also tried threatening us for breaking our lease. Because she lived next door, she knew our schedules and tried making contact with us whenever we went over there. We even found her walking strangers through our house without letting us know first. This inspired us to move faster. And I have great kids. Alexis insisted that we postpone her party so we had a small birthday celebration. She had so many school projects to finish up she wasn’t able to help move often. Trevor stepped in and did extra, giving her time and us some help. On performance nights, Dan and I moved a load of stuff, ran home to change into “good clothes”, and headed over to the school. By the time we’d arrive home for the night, we’d be ready to drop with exhaustion. And… we ate lots of restaurant food. WENDY ELY lives in Phoenix, Arizona, with her children and her own real life hero. She keeps busy writing romantic suspense and contemporary romance novels, spending time with her family, and taking care of two cats. No matter what, Wendy believes in true love and happily ever after which she provides in her novels! I started writing again when my daughter was four. I always wrote as a child. I’d studied Creative Writing as part of my degree and took a slew of writing courses when I was childless. When my daughter was about to start her final year of preschool I found a course called “First Page to First Draft in a Year.” It ran once a week at my state writers’ centre, which was over an hour away. Taking the course would be a big commitment both time-wise and money-wise for me. More than that it was a bold move because it meant I was admitting to myself and the world who I wanted to be. I boldly signed up for the whole year so I wouldn’t quit half way. As soon as I sent my money off I knew with certainty I’d have a book at the end of the year. It might not be a great book but it would be a book. I’m not a competitive person at all where others are concerned but for myself I’m very goal oriented. I went to the first day of that course and I was terrified. I remember the sweaty palms, the nervous introductions and the anxiety that zipped about the room. Still, I went back the next week. I began writing my novel in earnest. I had other things to do. I had volunteer commitments, part-time work and a husband who was away fifty percent of the time and who worked weird impossible hours. Every week though I managed to do my homework for class and move through the story. It felt achingly slow but as I wrote I felt parts of myself come alive. I was energised by the new friendships I made in that group and stimulated by the different conversation. I kept writing and I did indeed have a first draft at the end of that year and my daughter was very proud of me. I never really stopped to consider what I might have been giving her by pursuing this dream. I gave her a love of words and books. We don’t open candy during advent, we open a Christmas book a day and her favourite outing is to the huge bookshop in our city. I taught her to have a go. It’s okay to enter competitions and maybe just maybe you’ll place or win. I gave her resilience because there’s nothing like seeing mummy get a few rejection letters and keep on going to teach resilience. I gave her friends who like to write. Now she and my writing buddy’s daughter are great friends and they like to attend writing workshops together and they also enjoy horse-riding together. I showed her ingenuity by becoming an indie author and taking my journey into my own hands. Finally I encouraged her imagination by using my own. She has started writing her own novel. 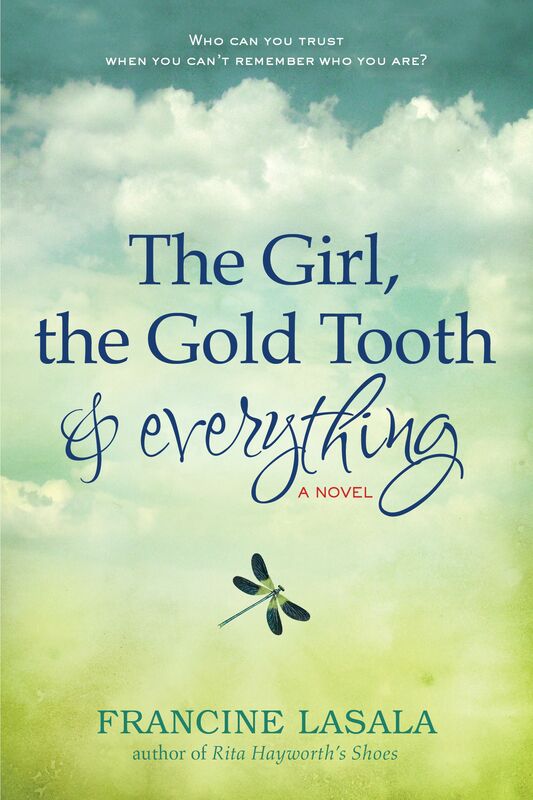 She’s twelve and has 75,000 words of a novel under her belt. Sometimes as mothers I think we’re so hard on ourselves. We feel guilty for stolen moments, fulfilling our secret desires and following our dreams. We probably we have it backwards because aren’t those the things we want for our own daughters? MONIQUE MCDONELL is an Australian author who lives in Sydney’s Northern Beaches with her husband and daughter. Her third novel, Alphabet Dating, was released this month. 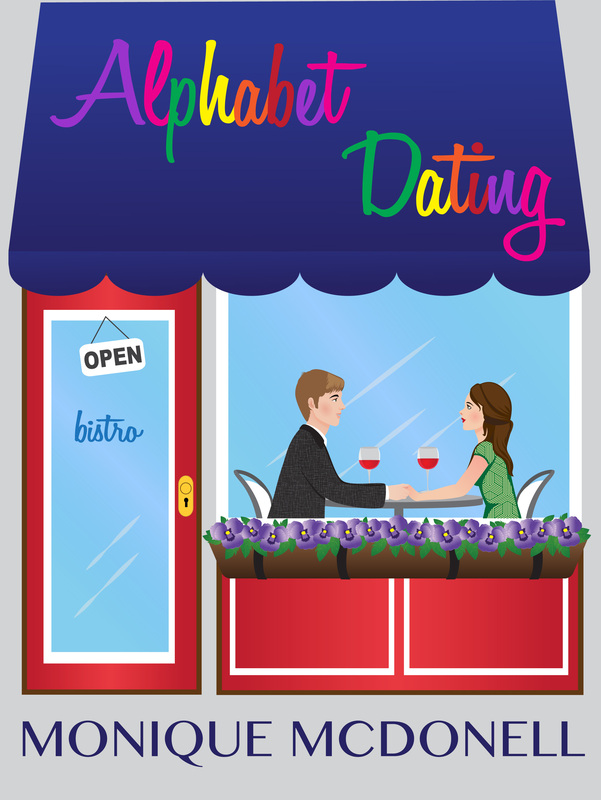 Serena’s friends have a plan to get her dating again – 26 dates in a month – one for every letter in the alphabet. What could possibly go wrong? 1. Can you tell us how Crib Notes came to be? 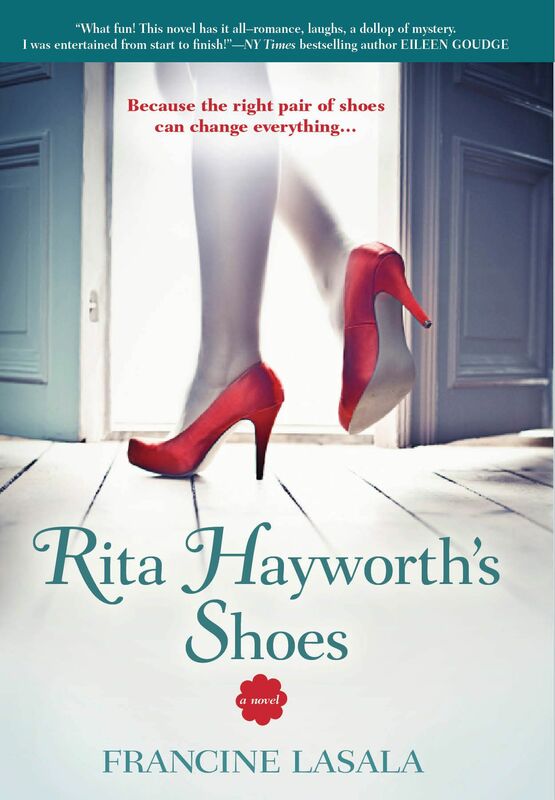 I always wanted to write a book, so I did! No, but really—I played around with a few ideas for novels, but it never really came full circle in my mind, let alone on paper (on screen?). Shortly after I had my second baby, I was thinking about ALL of the info that is out there—all of the options, all of the opinions, all of the misconceptions, all of the contradictions! Crib Notes is, as the name suggests, a little bit of everything, a shortcut through all the info that would be too overwhelming to research individually. As for the process, I just wrote. And wrote and wrote. It all happened really fast. Crib Notes was officially listed as published and available for sale about a month before my younger son turned one! 2. What did you learn about yourself writing and marketing that book? The quick summary and bio on the back cover took me longer to write than the actual book. I don’t know why that is, because I usually have no problem talking about myself 😉 But I have heard that it’s a common problem! I was well-aware that, since Crib Notes is self-published, there’d be no publicist waiting with a stack of review copies or setting up book signings. That’s where Facebook came in. Word of mouth is amazing, and technology increases that power exponentially. Even more than the copies that I’ve sold, I love the little community that we’ve created. Oh, this is not a made up thing. Sadly, the Mommy Wars definitely exists. I often feel judgment sneaking in—both of myself and other moms—but I try to operate from a place of learning. The more you know, right? I’m so thankful to be friends with women who gave birth naturally at home, and in the hospital with an asap epidural; whose babies never tasted a drop of formula, and those who never nursed a baby at their breast; who has more children than limbs to hold them with, those who struggle with one, and those who have accepted another’s baby into their heart; those who co-slept, and those who cried-it-out… I think it makes me less judgmental and more educated; a better friend and a better mom. 4. In your spare time (ha ha ha), you know, when you’re not raising kids and blogging and connecting mothers, what are you doing? Aside from my “baby” Crib Notes, I have two boys, a husband, a puppy, and a (very nearly) full-time job. So, yeah, not much free time here! As much as I complain about there not being enough hours in a day, or struggling to multitask without starting everything and finishing nothing, a full schedule is not a bad problem to have, really. I like to bake (and then eat what I baked), I like to read, I’m wannabe-crafty, and of course I like connecting with other moms! 5. Is there another book in your future you can share about? And if not writing, what else do you see yourself doing in the future? BONUS QUESTION: What to Expect When You’re Expecting somehow became a film, which opens the door for other parenting guides as well! If Hollywood came to you tomorrow and optioned your book, what would the story be? And who would play the leads? As I was working on Crib Notes, I had the idea to add a really fun section at the end; it’s a collection of Mommy Confessions. I sourced the best (and worst) stories from a wide range of friends of all ages, and compiled them into this funny, touching, gross, little section. It’s my favorite part of the book. The idea of reenacting some of the tales as a movie would be amazingly funny. Leads… the stories are from me and my friends, so casting look-alikes would be so fun! Hmm, I used to hear that I looked like Jennifer Anniston, but that was before she found Pilates and a flat iron 😉 A mom-ized version of Zooey Deschanel may be a little closer to me these days. 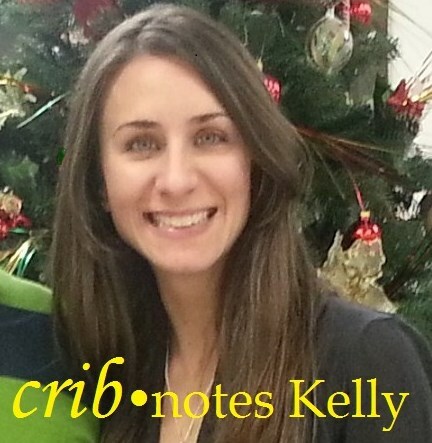 KELLY PEROTTI is the author of Crib Notes, candid look at conception, pregnancy, and parenthood, and writes at http://www.CribNotesKelly.com. She gained her insight and expertise during a nine month course called Pregnancy and continues on-the-job-training mothering two boys just eighteen months apart in age. 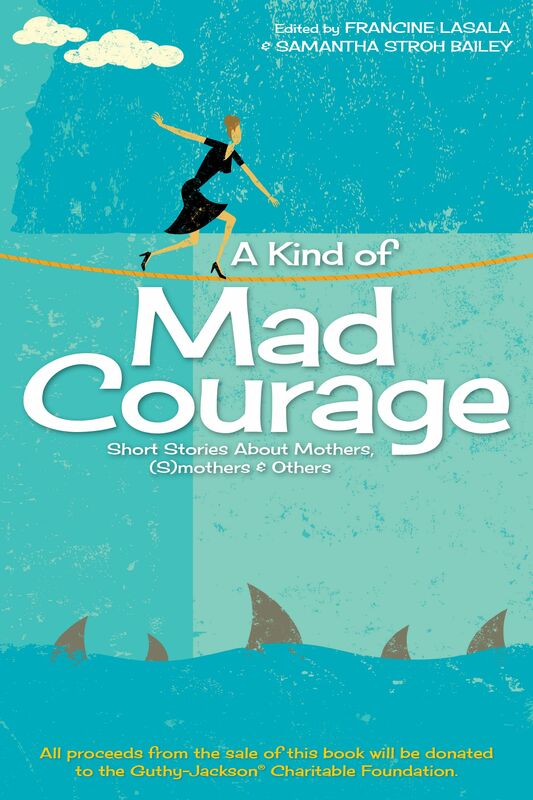 Her juggling act of kids, self, marriage, and work is chronicled at http://www.CribNotesKelly.com. Your comments and communications are welcomed on Facebook and Twitter @CribNotesKelly, or at CribNotesBook@gmail.com. I get so frustrated every time I read about the American Childhood Obesity rates doubling in children and tripling in adolescents in the past 30 years and that the current generation of children is not expected to outlive their parents due to childhood obesity. As an American mother, it saddens and disappoints me that we do not take the time to make our family’s wellness the #1 priority. Instead, it has become the last priority after work, housework, laundry, hair, nails, shopping, etc… I get sucked into this unhealthy priority list too – so I get it! But, it’s serious and it comes down to life or death for all of us and our kids! Take away ONE juice, coffee, soda, or sports drink and replace with water every day. Try 50% juice with 50% water and naturally decrease the amount of sugar your kids take in every day. Add real fruits such as oranges, strawberries, lemons, and raspberries to your water for some zest. Take a free-guided tour at your local Whole Foods Market and get educated! Get access to fresh produce by joining a community garden or starting a backyard garden. Local, organic farms have become more abundant across the US. 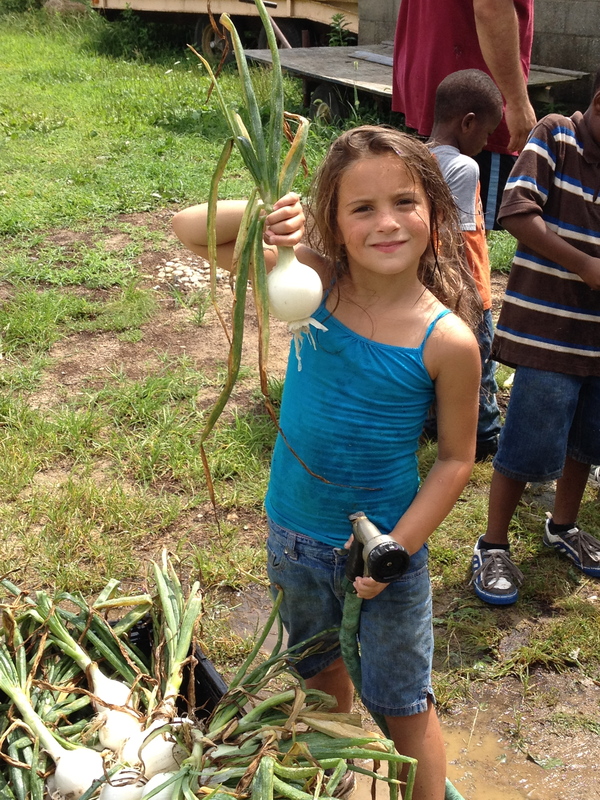 Find a local farm, ask for a tour, and volunteer with your kids. 3. Get Back to Basics! Fruits, veggies, meats and seafood – bake, barbecue, grill, broil, steam or eat them raw, when appropriate! Whatever the season, let’s get the family outside. Appreciate nature and the outdoors by going on a walk, hike, bicycle ride or just play a game of tag! This doesn’t cost money; it just requires us to reprioritize our family’s time. Keep it simple, make it a slow transition, and have fun. These tips will slowly lead us to a more nutritious lifestyle and help unravel our unhealthy habits. Wouldn’t it be wonderful to hear about how American families proactively took a stand to decrease childhood obesity and succeeded? Can’t wait, but, in the meantime, take on the challenge with your own family and savor the journey! 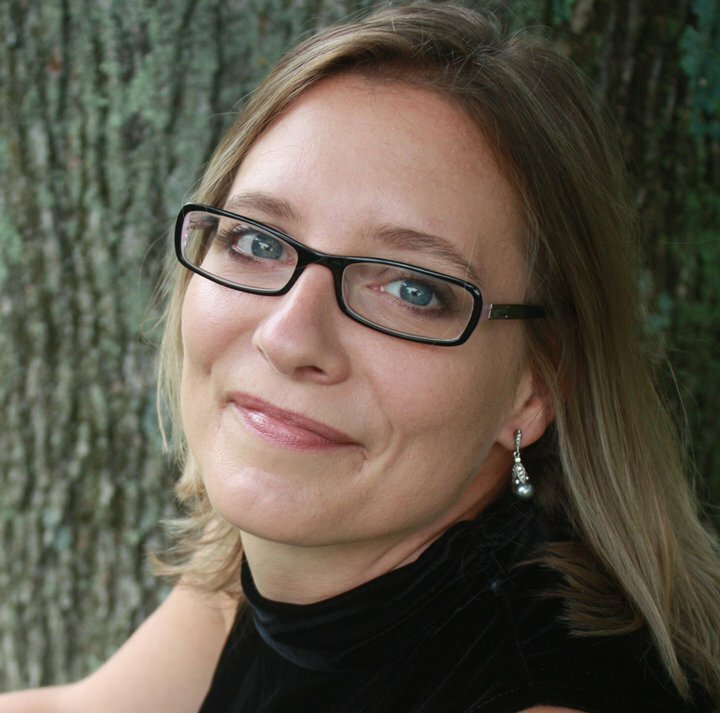 JENNIFER ROSS is Creator & Marketing Strategist of HeartBeet Cafe. While Jen’s successful corporate background was in marketing, relationship & event strategy, her true passion lies in educating kids and families about leading healthy and fit lifestyles. Her transition from a 16-year career in Manhattan to a home-based entrepreneurial career, has afforded her several opportunities including the development of community-based fitness and nutrition initiatives along with the creation of Active on Long Island TV segments that were featured on the My Long Island TV Show (mylitv.com) on Verizon FiOS1. Jen’s primary endeavor and passion, HeartBeet Café, focuses on teaching elementary students how to make healthier and more nutritious food choices and prepares and delivers healthier lunch options for both kids and adults.